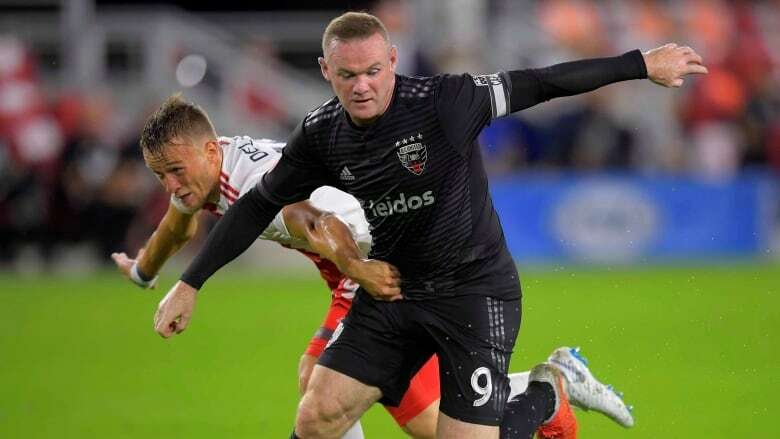 Wayne Rooney scored a long-range goal and Bill Hamid had four saves to help D.C. United beat Toronto FC 1-0 on Wednesday night. D.C. United (13-11-8) has won four games in a row and is unbeaten in its last eight. The Washington club has a four-point lead over Montreal for the sixth and final playoff spot in the Eastern Conference with two games remaining. Rooney bent a free kick just inside the post from nearly 40 yards out in the 18th minute. Hamid has allowed just one goal, and has three of his four shutouts this season, in the last four games. Toronto FC (9-17-6), which was eliminated from playoff contention with a loss to Vancouver on Oct. 6, has lost three of its last four games.